TRUSTWORTHY – We are Austin‘s number one cash home buyer because we treat our clients with integrity and respect. WE’RE LOCAL – Our family lives and work in the Austin area. We understand the market and want to help improve the local communities one house at a time. Stop Foreclosure Today with Zit Buys Homes! Facing foreclosure in Austin Texas can be an incredibly nerve-wracking and stressful situation, one leaving you with many questions and concerns. We are here to provide you with the right solution so that you can get back to enjoying time with your family, and just living without the ever-present worry of your bank taking your home. We offer the peace of mind that you and your family need in situations such as this. Knowing all of your options when faced with a foreclosure can make all the difference in avoiding the damage and loss caused by foreclosure in Austin. We are a professional real estate solutions company working with people in Austin and the surrounding areas every week who need to avoid a foreclosure. Homeowners often find themselves in a foreclosure scenario for many different reasons. You may have lost your job or had your income reduced. You may have big credit card bills or medical expenses. Perhaps your mortgage rate increased from an ARM or other loan product. Your home may need major repairs such as foundation or roof work. Or maybe you just ran out of cash or decided you’d rather move on. Any of the above can happen to anyone. Unfortunately, sometimes these things just happen. The most important thing is that you don’t despair. Take action instead. Recognize that the situation won’t go away if you do nothing. Understand your options and what’s best for you and your family going forward. You see, we offer a few different solutions for Austin Texas and surrounding area homeowners who want to avoid a foreclosure. We have the ability to buy your house directly from you “As Is” and without any agent fees or long drawn out closings. That means we can buy your house (or townhouse or condo and even a mobile home with land), no matter the condition. Whether it just needs some upgrading or if it’s being eaten alive by termites, we want to buy it just as it stands today. And you won’t have to pay any agent fees or closing costs! Also, because we use our own CASH to buy houses, we can act quickly enough to make that foreclosure go away. A traditional retail buyer will seek to get a bank loan and suffer through all that red tape. They may not be able to purchase as quickly as you need to sell. So the first option to avoid foreclosure is to sell your house to us quickly. Just fill in the form at the bottom of this page to get the process started on your no-obligation cash offer. Just fill in the form at the bottom of this page to get the process started on your no-obligation cash offer. If you owe more on your home than it’s worth, then don’t give up! If buying your home isn’t your best option then we can still help you on a short sale. What is a short sale? It’s when your lender allows you to sell your property for less than what you owe them. Why would the bank do that? Because they’d rather take a loss now than have to foreclose on you and take back the property. However, not every real estate professional out there can navigate or negotiate on your behalf at the level you need. Short sales can be tricky — don’t just trust your situation to anyone with a fancy business card. Our experienced team is a powerhouse of short sale professionals. Our family has been involved in the Austin real estate market for over 30 years. We can work with your bank to help you get the short sale done and put that stressful mortgage behind you….. at no cost to you. Just fill in the form at the bottom of this page to get the process started on your Austin short sale. Perhaps you would prefer to stay in your property and work something out with your bank instead of selling. What you’re looking for is a loan modification. You may have heard the term before – maybe you’ve even tried one. Loan modifications have received a lot of bad press in recent years because borrowers have a hard time getting into these programs and, once in, can often find themselves kicked out for no specific reason. However, if it’s your goal to stay in your house, then talk to us. We have loan modification experts who can put your best case forward with your lender and try to work out a plan to keep you in your home. Even if you’ve already tried a modification and it didn’t work, let our team give it a try. You may be pleasantly surprised. Just fill in the form below to let us know what you want to do. Not sure which is best for you? Contact us and let’s discuss. 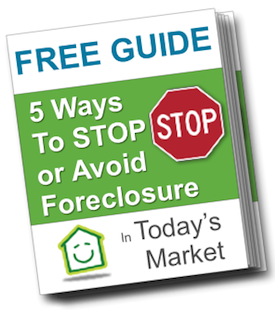 Click here to fill out the form to get the FREE GUIDE to stopping foreclosure. It’s yours to download immediately. We’re here to be your #1 SOLUTION to avoiding foreclosure! To sell your house in Austin or learn about other options, just fill out the quick form below. Or give us a call right now at 512-825-2525. When you fill out the form, you’ll also get a copy of our FREE GUIDE to stopping foreclosure! Fill out the quick form below to get started on your solution to stopping foreclosure! We buy houses in ANY CONDITION! We pay CASH, close FAST, and you will not pay any commissions, agents, or fees. We can do short sales and sometimes even loan modifications. Put your address and email below to get started on your no-obligation solution! Zit Buys Homes are the most respected house buyers in Austin, Texas. Our professional, experienced family-owned home buying team has been built from the ground up with the goal of helping homeowners like you sell fast, with no hassle, no games, no fees, and with transparency and integrity from start to finish. We buy houses in Austin and surrounding areas, so our home buying team can help you sell your Austin home fast no matter where in or around the area the house is, no matter its condition, whether you’re upside down on your mortgage or not. We are actual home buyers and have our own cash… so we can make you an offer on the spot. Once we make you an offer you can take that offer, shop it around if you want, talk it over with others, and think about it if you want. We won’t pressure you one bit. We can close on your timeline. Can I stop or avoid foreclosure by selling? Yes. Whether you want to sell outright or need to go through a short sale, we can help you. We want to buy your house from you “As Is” without any fees so that you can avoid getting foreclosed upon. Call Us Now at 512-825-2525 or fill out the quick form below to get started. We’ll Present Your Solutions to Avoiding Foreclosure. YOU Decide How to Proceed! Fill out the quick form below to get started TODAY!